Two days ago it was snowing and cold (9C in Honbu), yesterday it was warmer but very windy (almost 20C in Honbu). Yesterday one of the Shihan told us about training in the old days when they trained in Hatsumi Soke’s chiropractic office, it was only 8 tatami big full of stuff that they had to carry outside before training. They were usually 10 people training, so they had to be careful when moving not to break the glass window (the door to was glass I think he said). During one training Soke wanted to test one student for the Godan test, he used a Shinai but twice in a row the student failed. So Soke went outside and came back with a real sword and said to the student that he would kill him (if he didn’t move). Soke raised the sword and brought out his ki-power, and all the lights went out. That is how strong his ki was in those days. I’m sure he is stronger today, but he uses no more than necessary, just like taijutsu, no more power than necessary. The Shihan also continued talking about that Soke never showed the same technique twice, and that he never told anyone what to do, and that we are lucky today because Soke do show the same technique a couple of times and let us know when we are doing things wrong and try to help us. Another Shihan also told us about training in the old days and said that Takamatsu Sensei never ever praised Hatsumi Soke even once during his 15 years of training with Takamatsu Sensei. He did however praise soke for his paintings, but not for his budo. One day Takamatsu Sensei told Hatsumi Soke that he does not need to come back, he thought that he sucked so bad that Takamatsu Sensei finally had given up. But in reality Hatsumi Soke had been taught everything Takamatsu Sensei knew, and he had been appointed the next Soke for our nine schools in Bujinkan. The Shihan continued saying that today Hatsumi Soke praises everyone (maybe too much). When someone is doing something on the mat Soke says it was good, when it really was not so good (I know this from experience!). This is also Kyôjitsu I think, Soke is teaching us that nothing is necessarily the way it seems or looks. The same Shihan also said that if we do exactly what Soke tells us to do we will be ok. “Do as the old man tell you to do”, this means also your parents or grand parents, they know a lot of things from experience, and usually knows what they are talking about. So if we do what Soke and the seniors tells us we will be ok. If we don’t believe in Soke and do what he tells us to do, maybe we don’t really belong in the Bujinkan. I would like to thank Chris who translated from what the Shihan told us. 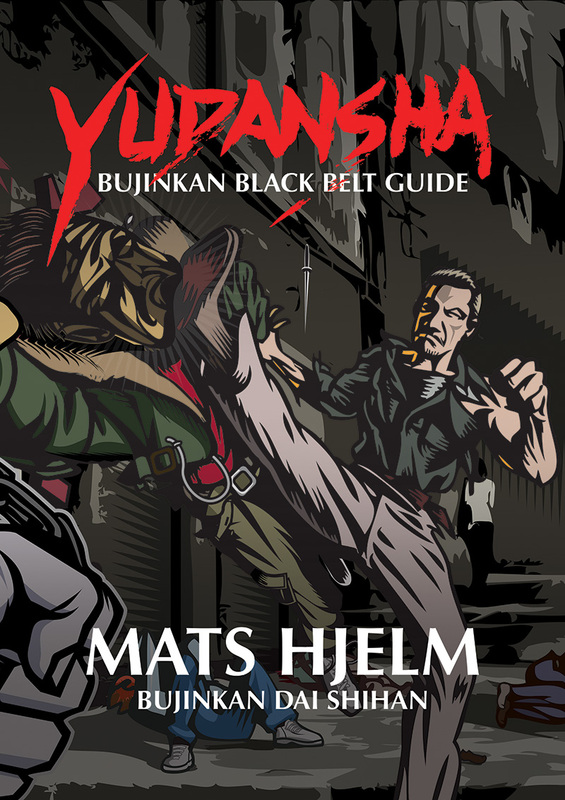 I must also say that what I’ve written here above is a mix between my own thoughts and from what I remember, both the translations and the body language from the Shihan etc. I hope I got the essence of what they wanted to tell us right, not necessarily word for word. 21 trainings, less people here now? Previous PostPrevious 21 trainings, less people here now?